I love analog synthesisers. I’ve always have. In fact one of the main reasons Vox Robot started was as a good excuse to build, tinker, and play with a few of the little beasties. As luck would have it analog synthesizers are having a bit of a renaissance. Is ridiculous to think that we have at least an order of magnitude more choice in absolutely every facet of building a big modular than the hip kids of the 60 and 70’s. 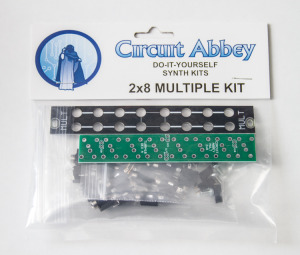 So in the spirit of not letting my readers down I need to put my nose to the grindstone and pick a diy synth kit for our first music tech DIY project. The Vox Robot HQ is ready, we now have a soldering station (a Hakko 951 — look for an upcoming review), a vintage (1990-ish) multimeter, and a very rudimentary variable power supply. So as of today, all we need is a new tip for the iron (they one that shipped in the box is hopelessly small), few consumables like flux and Kester rosin core solder; hurray for eBay and Amazon. Great, sunshine and lollipops all around then. But that is where the fun kind of ends. Before we start slinging molten tin onto some very fiddly bits and/or my fingers. We come to a problem. And as problems go, this is a big one. The possibilities are endless. There are literally thousand of different kits in different configurations and price ranges. To say nothing of builder skill level. The choice of compatible modules for eurorack / Doepfer synths alone is absolutely staggering, and then picking one to start is akin to choosing organs. What would you like to have in your body first sir, lungs, maybe a pancreas? Can’t decide ey, how about some kidneys, great do I need two — oh they come in pairs. Maybe an all in one design would be better as a first victim. There are hundreds of kits. Or is a Eurorack modular a better choice? At the top of my list is TTSH. For those of you old enough to remember Star Wars — the Arp 2600 is the voice of R2D2. A chap in Sweden who has put a ton of work into this project. I just can’t believe he is selling them so cheap! 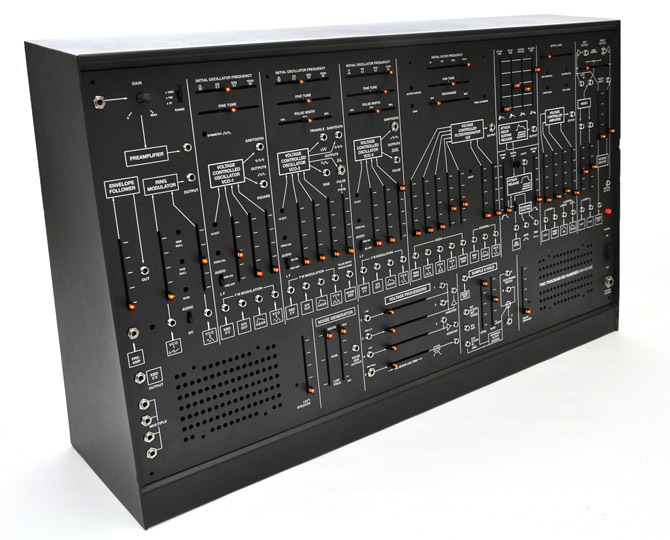 If you don’t believe this is the deal of the century go and search Ebay for an Arp 2600. The kit comes with front panel and all the boards, and at around 600 US (as of this writing) is an absolute steal. Now go click on all the ads so I can get one of my very own! The Two Thousand Six Hundred, or TTSH for short, is a replica of an old classic semi-modular synthesizer. Another very strong contender is the x0xb0x. 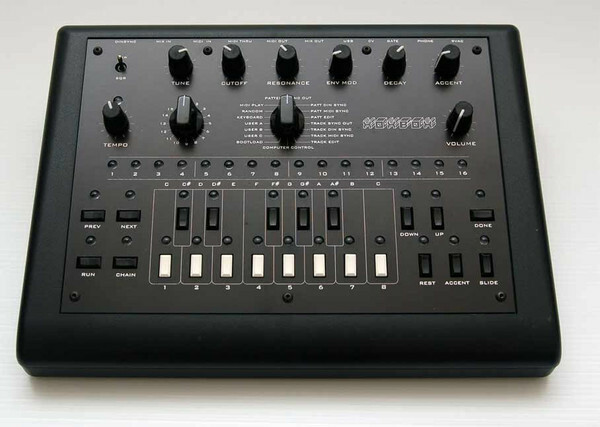 A Roland TB303 clone, the sound of acid house. You can’t see my ear to ear grin — but trust me when I tell you that the harsh and squelchy 303 filter will put a smile on anyone’s face. Even though the cheap black plastic case is absolutely hideous from what I heard on the webs, it is an absolute killer. I can’t believe that the kit is only 295 US, if you wanted one in 1984 you would have to pay 495 nineteen-eighty-four dollars. A x0xb0x is a monophonic analog synthesizer and a TB303 clone. It was developed by Adafruit Industries in 2005 as an open source project that is open to modification and commercialization to everyone. 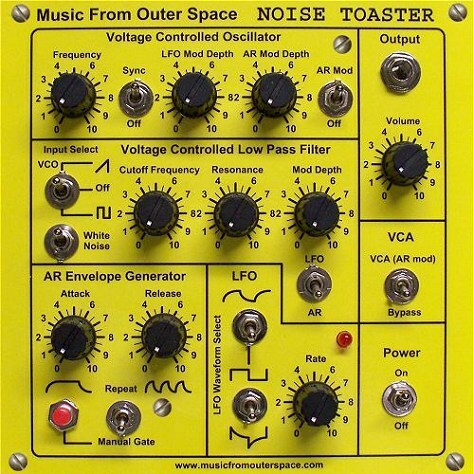 If you buy nothing else at Music From Outer Space, at least buy Ray Wilson’s book Make: Analog Synthesizers . If you are even remotely interested in electronics or electronic music you need the book. This would be an excellent first project — to get my feet wet. Is a neat noise maker with a VCO without pitch control, a great filter, an LFO, an envelope generator, and not much more. I know myself — after two days of annoying everyone in a 3 mile radius I will be bored. I need something a bit more complete. This is an excellent project for anyone interested in synth-diy or “noise” boxes. I need something to ease me into this magical world, it needs to be simple; I have not soldered a stitch since the late 90’s, so whatever I ruin first needs to be cheap. Also I have never tinkered with a modular beast and that is what I really want. One can start building one for next to nothing (although it will not stay cheap very for long). A big giant modular it is! Is a very humble beginning to my dream but everybody needs a few of these, and at 39 dollars I can kill a few and not go bankrupt. Stay tuned — now that we found a module we need a case to put the little chap and a power supply to feed it. Previous PostBMW e46 Plumbing – Convertible Drain HolesNext PostThe Big Moogs are Back!